Week in Preview - Show G.R.I.T. Rams! Thank you for attending the Faculty Collaboration Session on 11/7. We hope you were able to learn about the different features of Canvas. Our goal is to help you become more familiar with Canvas, as Pasco County will be using more and more of the features of Canvas in the next year to come. During our December Faculty Collaboration Session, you will have the opportunity to attend two more Canvas sessions. Please use the next few months as an opportunity to start experimenting with Canvas to get ready for next year. The Instructional Coaches will provide more information in the weeks to come about their scheduled office hours. We will also be following up individually with you regarding your ticket out the door response and additional one on one assistance. Thank you to all the teachers who have volunteered to show us their Canvas page. 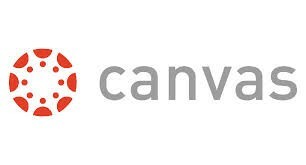 As we move forward with the year, please reach out to your fellow teachers who are doing great things with Canvas. They are more than happy to help you overcome any obstacles you may be facing with the technical aspects of this resource. Please make sure to share your SNAPS each week. If there are no more cards left, please let Tina know. Vanessa Moon is being recognized by Kristen Martanovic. Thank you Vanessa for always supporting the AVID program and going above and beyond to find resources to help our AVID students be successful in Algebra and Geometry! Heather Smith is being recognized by Fatima Stark. Wonderful Job bring to light the visual and auditory struggles of our students. Alicia Leary is being recognized by Fatima Stark. Great Job in working to keep our school safe. You were a wonderful mediator. Fatima Stark is being recognized by Alicia Leary. Ms. Stark was an excellent mediator to help repair friendships among our students. Tina Anfuso is being recognized by Fatima Stark. Thank you for being so helpful and efficient with your job responsibilities. Thank you for sharing valuable information about ESE and processing disorders with our PLC. Thank you for all you do for EVERYONE at RHS. Just a friendly reminder that our November staff event is next Friday, November 14th from 4-6:30. Please reserve your seat using the following link. There will be appetizers and drinks. Hope to see you there! Look out DaVinci!! We will be providing appetizers and each department is asked to donate a basket no more than $20 in value. You will have a chance to win the prize baskets!